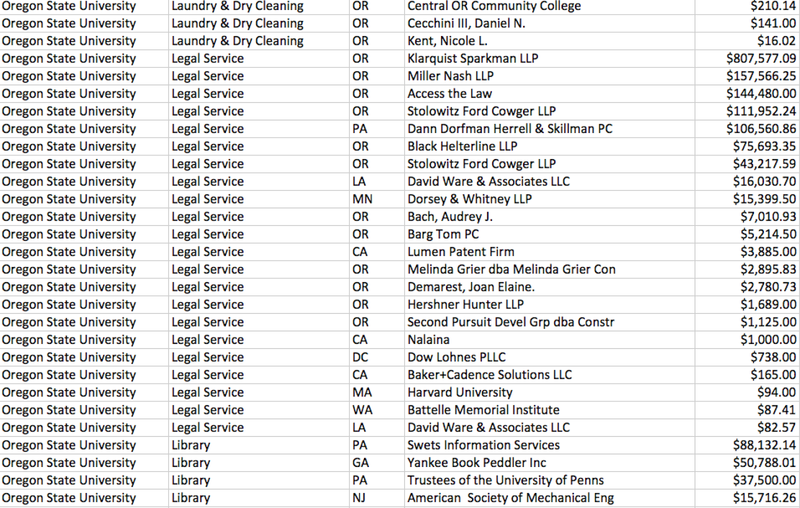 UO for 2012-13: Goes straight from Laundry to Library, no Legal Services. I think they call that irony. 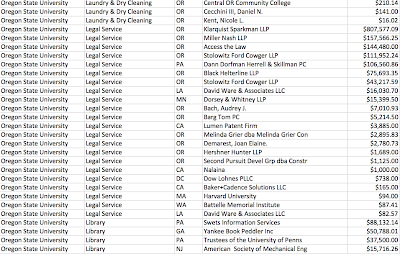 Tagged NCAA violations, Randy Geller General Counsel. Bookmark the permalink. Have you considered that perhaps you might get more information from Johnson Hall if you posted that information with less childish sarcasm? People might consider this serious journalism is you published like our student newspaper with professionalism. But, then you would lose your fan club…. If I had useful information, this would be the last place I would post it with my name attached. Try asking UO’s student reporters, or reporters from papers around Oregon, if they have better experiences. Excellent deflection, now try answering the question for 1/2 credit. I mean, you’re probably right in practice, but that’s kind of telling, no? The point is that transparency should be independent of how annoyed the administration is at you. The fee-fees of Johnson Hall residence shouldn’t be a factor in whether the public can tell how much rent they’re extracting. Fees are certainly annoying, but appear to be in place to prevent exactly what this blog is about, gossiping and sniping. Wrapping yourself in the 1st Amendment so you can gossip seems very heavy-handed. If only there was a group on campus that would look into these issues in an objective and academic fashion without the huge egos found on this blog. Its a lot easier to gossip when things are redacted or not reported. Basically, you let UOMatters play a game of madlibs with the lack of information, and then don’t like how the blanks are filled in. So fill in the blanks for everyone. Comment of the week. UO, and the UO Foundation, can and should put me out of business by being more transparent. Coltrane’s benchmarking report was a welcome step in this direction. Last time I checked the UO is still owned by the state of Oregon, and as a public entity should be transparent and open by default. It does not cost anything to make pubic contracts, budgets, and legal fees. As UOM continues to show here most other public universities make this information public. Even a few years back we made this info public as well. If there is nothing to hide then put the data on display for all to see. and before you haul out the “Public in name only” and “only 5% of the all BLOATED ALL FUNDS budget is paid by the state general fund” ODOT takes zero dollars from the general fund so should all the roads in Oregon be private? Also, that 5% of general funds still pays the bulk of faculty salaries! I agree put Uomatters out of business. Then maybe I could talk to him about coauthoring a paper or two!